Our first stop today is Oakham, county town of Rutland. Rutland is England’s smallest county and Oakham’s stylish boutiques and exclusive little gift shops are a delight. Later we head along the edge of Rutland Water to visit the famous Barnsdale Gardens, familiar to many TV viewers as home of Gardeners’ World for many years. The gardens comprise 37 individual gardens and features all blended together by the borders into one eight acre garden. From Barnsdale we continue to Rutland Water and enjoy a cruise on the ‘Rutland Belle’ On to the overnight hotel for dinner, bed & breakfast. After this morning’s breakfast, we make our way to Belton House. Built in the 1680s, the mansion has all the design features of a classic country house. 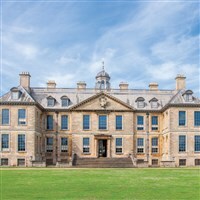 Inside, the wealth of the Belton estate is apparent, with grand display rooms and impressive collections of porcelain, silver, paintings and books. The formal gardens, pleasure grounds and boating lakes provide a charming place for a stroll and the estate is also home to some 300 deer. Return home later in the day. 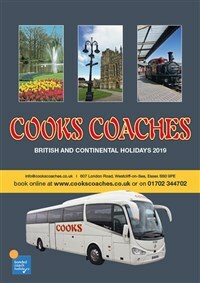 New for 2019, this is an itinerary that is relaxing and unhurried. In Englands smallest county, Rutland, see one of Europes largest reservoirs and sail on it. Learn gardening secrets at Barnsdale, then stay in a charming hamlet. Formal gardens and a perfect country-house estate on the second day, reflecting the wealth and cultured tastes of several generations of the owning family. The Hotel is a delightful tranquil retreat set in beautiful Lincolnshire countryside near the village of Marston, not far from Grantham. The hotel prides itself on the quality of its food and hotel facilities include Health Club & Spa with indoor swimming pool, Sauna & Spa. All bedrooms are en suite and have television, telephone, hairdryer and tea & coffee making facilities. The hotel has a lift.